Crowdfunding sites such as Kickstarter and Indiegogo have been the funding source for many projects over the last half-decade. Minority artists and entrepreneurs alike have turned to these websites to raise funds and build a community of sorts for their projects, products and services. Over the years, I have personally contributed to numerous crowdfunding campaigns. Often the projects that I have helped fund would not have been possible without community support, or would have been drastically influenced if funded by large publishing houses, record labels and film studios. Below are six crowdfunding campaigns you should consider supporting. The House of June is at it again. If you haven’t already, you should check out their series “The Shrink in B6.” Earlier this year, we told you all about how they were changing the dynamics of the film industry. Now the crew is fundraising for Fried IceCream, a feature length film that “follows AKEEBAH & SLOAN, two mix-matched peas in a pod living and finding self in the summer solstice of inner-city Atlanta.” Get into it. The Last Black Man in San FranciscoLast I checked, this campaign had already reached its goal. Why not help the team do even more with the film by pushing them even further past their funding mark? In The Last Black Man in San Francisco, Joe Talbot & Jimmie Fails aim to tell the story of “a young man with a big dream (and a quirky best friend) searches for home in the changing city that seems to have left him behind.” Peep their funding video. LGBT community members are often on the receiving end of stigma when it comes to sitting in the barber’s chair. With Camera Ready Kutz, Khane Kutzwell aims to create a space in Brooklyn where people will not feel judgment while getting their hair done. Learn more about her plan. Seeing yourself in media and toys is important as a young person. With Naturally Perfect Dolls, Angelica Sweeting’s goal is to show young Black girls a reflection of themselves in their dolls. Learn more about her inspiration below. Global Girl Oakland is aiming to change media by putting girls behind the camera and at the center of the story. The Global Girl team has been doing this work since 2010. Now they are raising money for their Girls Speak Oakland summer program to create awareness in the push for more inclusive media and to empower girls to become heroines of their own stories. 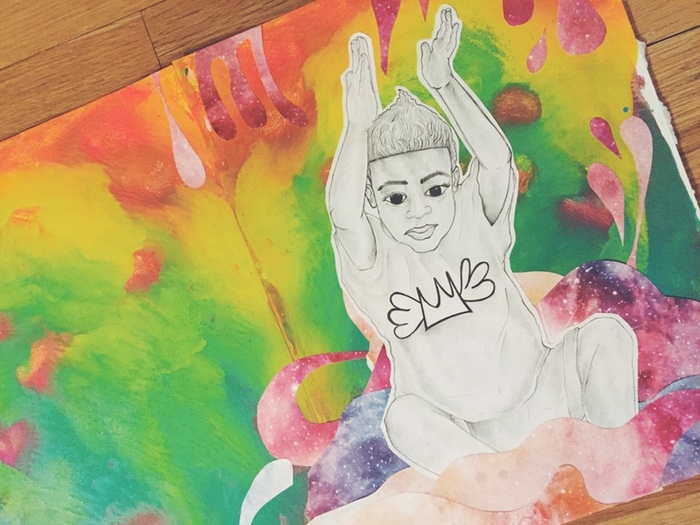 Large Fears is a picture book about Jeremiah Nebula, a young queer Black boy. You can follow Jeremiah's journey on Instagram. Large Fears creators Myles E. Johnson and Kendrick Daye were interviewed by Mic. photo via Large Fears campaign page. Photo via Large Fears campaign page. In the interview with Mic, Johnson is quoted saying, “When you don't see yourself in the media, it does weird things to your psyche." Many of the campaigns above are tied to the larger theme of telling our own stories and reclaiming spaces. Consider funding these campaigns to fight the erasure of our stories. Want more content like this? subscribe to our weekly digest below?